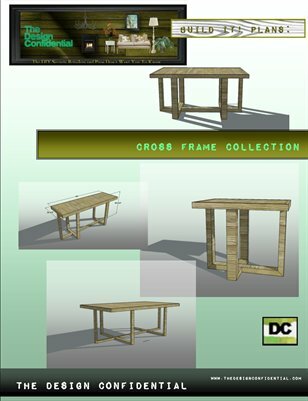 This issue contains the step-by-step building plans for the Cross Frame Collection: Coffee Table. Inspired by the Pieces of the same name at West Elm, this collection seeks to expand upon it and adds to the number of furniture pieces available in this style. The plans available are modified for ease of building and readily available materials. This collection is in no way affiliated with the specialty retailer above, and is only inspired by their collection.